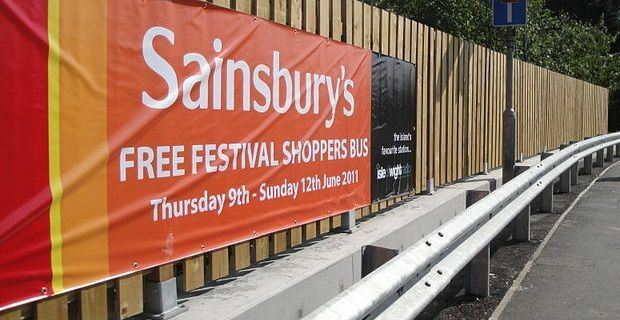 There are 9 Sainsbury's stores in London so there are normally some Sainsburys jobs in London waiting for willing and able workers to fill them. You'll find Sainsbury's supermarkets and Sainsbury's Locals at Westminster, Oxford Circus, Mayfair, Waterloo, Holborn, Bloomsbury and Lambeth. There is also a Sainsbury's pharmacy at St Thomas' Hospital and a supermarket that’s open from 6am to midnight every day except Sunday on the Tottenham Court Road. Of the 9 stores, 6 are part of the Sainsbury's Local brand that operates 500 convenience stores throughout the UK. Unlike the supermarkets, these stores demand a more general knowledge of the shops’ product range. Customers come in for things like bread, milk and a newspaper rather than their weekly grocery shop, so they expect to find the sort of friendly and helpful staff they talk to in their local newsagent. You'll need to know where to find everything the shop stocks, so you will have a leg up on your competitors at interview if you shop in the Sainsbury's Local you're applying to join. With the long opening hours Sainsbury's stores now have, you could find very convenient part time work with the country's third largest supermarket chain. Most stores are open from 6am of 7am and stay open until 11pm or midnight. Why not use the store locator tool on sainsburys.co.uk to check out the opening times of your local store? Sainsbury's has its head office in the capital so you aren't restricted to retail jobs. It's located in Holborn so if that's near you, you'll be opening yourself up to a collection of administrative roles and other non-retail positions. You'll find a complete list of jobs at Sainsburys.jobs. You can apply through there and then sit back and see if you get called for interview. Need to find part time weekend jobs in London?